You know that voice you use when booking a taxi through a chatbot. "Yesss. Nooo." Monotone diction, through gritted teeth and barely veiled hostility. We wouldn't talk to a human like that. Not one trying to organise a ride to dinner, anyway. But we drop all the niceties when we talk to robots and clever software, as if it is easier to be rude than polite. Now, extrapolate from that to how we may behave in the future if, as predicted by advisory firm Gartner, 85% of our customer interactions take place without a 'human agent' by the year 2020 – just two years away. It doesn't bear thinking about. The opportunities for robotics in the service sector are exciting, especially when combined with sensors, speech and facial recognition, big data, analytics and AI. Robots could significantly improve customer service and productivity in areas such as contact centres, hotels, restaurants, and even hair stylists. Robots will cut the costs of basic services, such as health screening and education services, and many high-end services (personal concierges and personal tuition) could become widely affordable. But how will our relationship with these robots play out? And will they give us the social and emotional experience we want as customers, clients and patients? 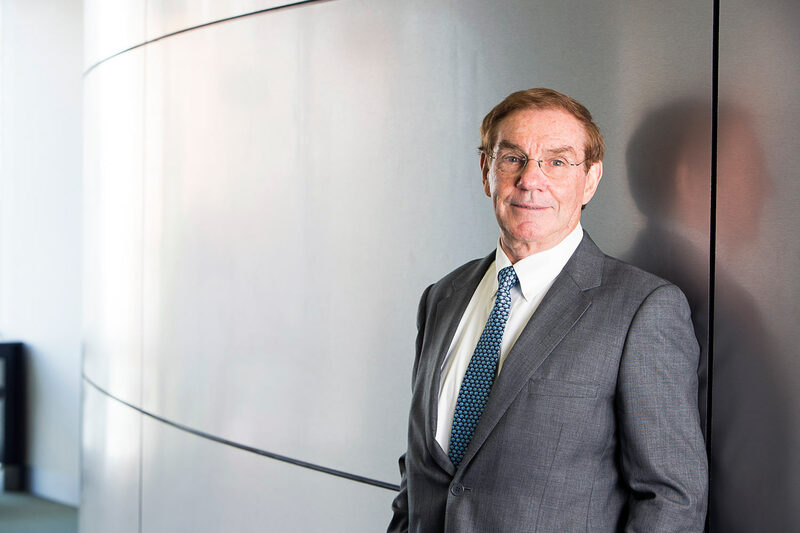 Paul Patterson, a professor in the school of marketing at UNSW Business School, says these are some of the intriguing questions about the impact robots, AI and machine learning will have on our society – and on customers, in particular. "It could bring out the worst in human beings. In the near term, artificial intelligence will not be programmed to pick up your emotions, so you could abuse it endlessly," Patterson says. Patterson is part of an international team of academics who have been modelling likely customer acceptance of front-line service robots. Their study, Service Robots in the Front Line: Will it be a Brave New World?, was recently presented at an American Marketing Association conference in Paris. Service robots could be the humanoid-looking robots that greet you in a hotel lobby or the non-humanoid Roomba pill-shaped device that cleans the carpet in your room. They could be your chauffeur, provide a physiotherapeutic massage, or deliver a parcel. Aside from the level of civility directed to robots, there are questions about how, as customers, our interactions with robots could affect our emotional lives. While robots offer promise in helping care for the elderly by performing routine tasks, the study's authors discuss the possibility that replacing carers with robots could deprive elderly people of human contact. "The elderly voiced concerns that their usual social networks may start neglecting them as they would assume that the robot would be there to take care of them, thus increasing social isolation. Even replacing a human cleaner with a robot vacuum cleaner would take away the opportunity for an elder to interact with a human being," according to the study. Patterson says the colonisation of our workplaces by robots is being talked about as the 'Fourth Industrial Revolution'. It is certain that people will be displaced at work by robots. McKinsey Global Institute is predicting unemployment rates of 15% across the world as a result, but also that new jobs will be created to replace them. Patterson says he supports a positive, rather than an apocalyptic, view: "If you looked at automation over the past 25 years, people were predicting mass unemployment. It has never happened. New jobs have been created and I think the same thing is going to happen here – jobs that perhaps don't even exist at present. "Jobs that either support the robots, or other support industries will pop up and, once we get a bit more advanced, there will probably be more TAFE and industry-run courses to train people to work side-by-side with robots. "If you look at the jobs that are going to be replaced, they are going to be low level, not highly educated, on the front line, on a minimum wage," says Patterson, noting that the NAB has begun its campaign to retrench 6000 workers across three years in exchange for hiring 2000 'tech-savvy people'. With service robots taking on the more routine tasks, restocking shelves in a shop or processing payment, for example, humans could be left to deal with more complex interactions that require some emotional intelligence or out-of-the-box thinking. The study's authors say humans are likely to continue to deliver services that require high emotional elements, while being supported by powerful service robots to provide additional analytical and cognitive power. But services that require high cognitive/analytical with low emotional skills will be replaced by robots. "In a medical context, a robot may take blood pressure, assess other patient health indicators, prepare medication while a nurse would perform the soft skills (display empathy, caring, affiliative communications skills to minimise psychological discomfort)," they say. Despite the incursion of robots at work and at home, Patterson says he fears the Australian government is lagging in readying the country for the disruption. He says governments in Thailand, China and Europe are developing policies around AI, machine learning, productivity and social impact. Some countries, such as Finland, are experimenting with a universal basic income, knowing robots may lead to high unemployment. "Some governments are taking this very seriously. But I have seen little to suggest the Australian government is getting ready for the invasion. "This is coming and it is coming very quickly. It is already here to some extent and it is growing exponentially." Patterson says we have not yet started to feel the impact of front-line service robots, partly because the social and emotional aspects of their programming are still being developed. "The thing that is holding front-line service robots back at the moment is their inability to, for example, detect customers' emotions and respond appropriately." Patterson says a robot or chatbot would not be able to adequately handle an irate customer who has a complaint. "Service recovery, when something goes wrong, is a particularly tricky issue to bring a customer back to a state of satisfaction, even with human beings," he notes. "How does a robot become persuasive, for example? How do they generate genuine rapport, engage people, display empathy and compassion, and develop loyal customers?" For a successful service interaction, humans and robots must act in accord with their socially defined roles. "Likewise, social presence, which refers to the extent to which a human being is 'really present', or it encompasses the feeling to 'be with someone' will be pivotal to customers accepting service from robots," says Patterson. Manufacturers have to walk a fine line when they create humanoid robots. Research shows that human-like attributes inspire trust but, if they are too much like us, we find it creepy. According to the 'uncanny valley theory', when an artificial face becomes indistinguishable from a human's, it starts to look unnatural. "The more realistic a face is, the more a person (customer) expects it to behave like a real human," say the study authors. "Therefore, small deviations from humanness make a big difference and can be unsettling, and they can deter people from being willing to interact with robots." "It scares people. It increases our expectations of what the robot can do, particularly socially and emotionally," says Patterson. "Then, we are dismayed when the robot's inadequate emotional intelligence fails to pick up on our cues." Paul Patterson's co-authors are Jochen Wirtz from National University of Singapore; Werner Kunz from University of Massachusetts; Thorsten Gruber from Loughborough University; Vinh Nhat Lu from Australian National University; Stefanie Paluch from RWTH Aachen University; and Antje Martins from University of Queensland. Page last updated: 15/08/2018 1:28 AM Disclaimer Some pages on this website are updated dynamically on a regular basis. This may not be reflected in the ‘Last updated’ date.